Donald Trump referred to Kim Jong Un as "Little Rocket Man"
Kim Jong Un, in turn, called Mr Trump "mentally deranged"
North Korea's foreign minister warned Saturday that a strike against the U.S. mainland is "inevitable" because President Donald Trump mocked leader Kim Jong Un with the belittling nickname "little rocketman." U.S. bombers escorted by fighter jets flew off the North Korean coast in a show of force shortly before Foreign Minister Ri Yong Ho strode to the podium to address the United Nations General Assembly in New York, capping an extraordinary week of militaristic threats from both nations before an organization founded to maintain international peace and security. Ri said that Trump's bombast had made "our rockets' visit to the entire U.S. mainland inevitable," and linked it to the Trump's insulting shorthand references to Kim. Harsh sanctions placed on North Korea's trade with the outside world will have no impact on its ability to complete building a nuclear bomb capable of reaching the United States, Ri said, suggesting that stage is imminent. "Through such a prolonged and arduous struggle, now we are finally only a few steps away from the final gate of completion of the state nuclear force," he said. "It is only a forlorn hope to consider any chance that the DPRK would be shaken an inch or change its stance due to the harsher sanctions by the hostile forces," he said, using the acronymn for North Korea's official name, the Democratic People's Republic of Korea. The rhetoric between Trump and Kim has grown exceptionally personal. At a rally Friday night in Alabama, Trump called Kim "little rocketman," magnifying the disparaging label he slung at King in his U.N. speech Tuesday in which he threatened the United States would "totally destroy" North Korea in defense of itself or its allies. He said Kim was on "suicide mission"
Kim in turn called Trump a "frightened dog" and a "mentally deranged U.S. dotard." Ri echoed those sentiments on Saturday, calling the president a "mentally deranged person full of megalomania" and at one point referring to him "President Evil." "None other than Trump himself is on a suicide mission," Ri said in broad denunciation of Trump that brought applause from the North Korean delegation. "In case innocent lives of the U.S. are harmed because of this suicide attack, Trump will be held totally responsible." Ri emphasized that North Korea has the know-how to carry out its threat. He said Pyongyang has a hydrogen bomb that that can fit on an intercontinental ballistic missile capable of reaching the U.S. On Friday, Ri said Korea was prepared to test a hydrogen bomb over the Pacific Ocean. "Trump might not have been aware what is uttered from his mouth, but we will make sure that he bears consequences far beyond his words, far beyond the scope of what he can handle even if he is ready to do so," Ri said. On Friday, Trump kept up his verbal fusillade against Kim, tweeting that Kim is a "madman" who will be "tested like never before." 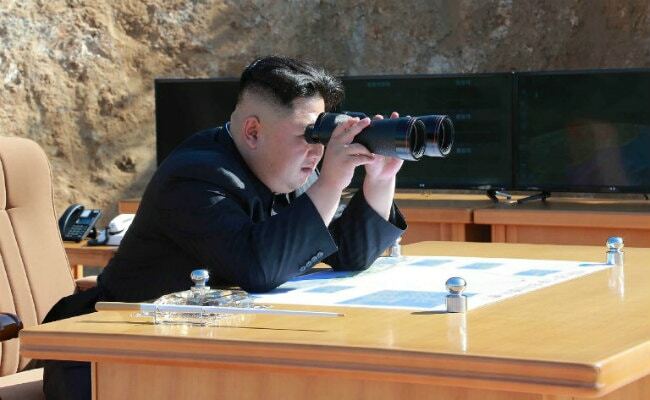 Tensions are escalating so quickly that when an 3.5 magnitude earthquake was detected in northern North Korea Saturday in the vicinity of a nuclear test site, it briefly aroused suspicions that North Korea had conducted another underground nuclear test. It was quickly confirmed as just an earthquake. The heated exchanges between Trump and the North Korea's leader come at a time when diplomatic pressure may be starting to bear fruit. Secretary of State Rex Tillerson said last week that sanctions are beginning to have an effect. China, North Korea's economic lifeline, has gradually imposed greater economic sanctions on its neighbor, including caps on oil. On Thursday, Trump signed an executive order giving the Treasury Department more authority to cut off trade that helps finance North Korea's weapons and nuclear programs. While Tillerson has insisted that diplomacy still has a chance to work, military force appears to be increasing as an option. 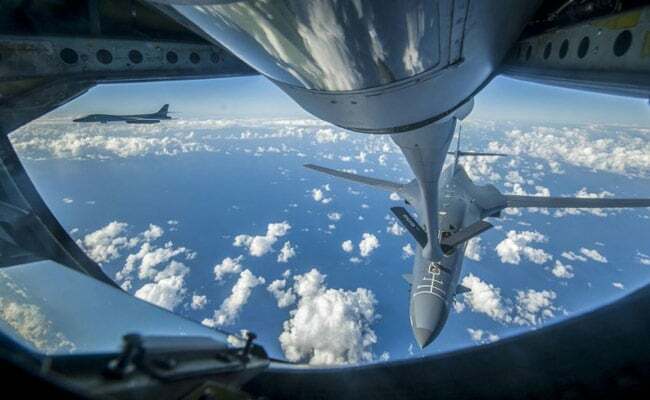 Just before Ri spoke at the U.N., the Pentagon disclosed that the U.S. Air Force B-1B Lancer bombers flew in international airspace east of North Korea. The Pentagon said it was the farthest point north of the Demilitarized Zone separating North and South Korea that any U.S. planes have flown in this century. 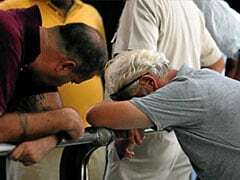 The bombers took off from an air base in Guam, which North Korea has threatened to target. They were escorted by F-15C fighter jets from Okinawa, Japan. North Korea Minister for Foreign Affairs Ri Yong Ho addressed the General Assembly of the United Nations on Sept. 23, with harsh words directed at President Trump.